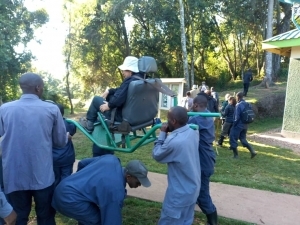 This 4 Days Rwanda gorilla trekking safari to Volcanoes National Park and canopy walk in Nyungwe Forest National Park gives you a chance to do two of the best safari activities in Africa. Gorilla trekking is an unrivaled wildlife experience and there’s no other walk in the sky like this canopy walk in the Nyungwe forest. 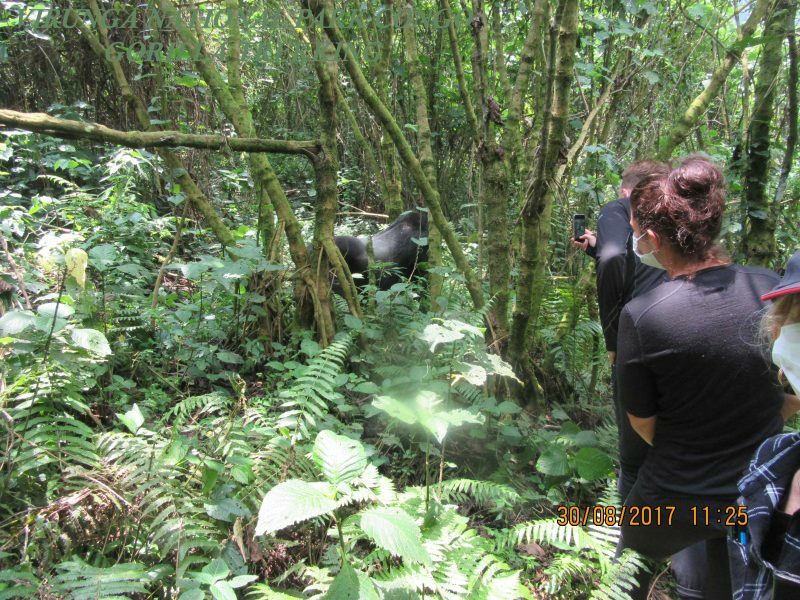 On this 5-day safari you will have a chance to trek part of the only remaining mountain gorillas in the world, see several bird species and have a short memorable walk above a forest. The 4 days gorilla trekking safari to Volcanoes national park starts and ends in Kigali-Rwanda inclusive of arrival and departure. Volcanoes national park is certainly the gorilla trekking safari in Rwanda destination since it’s the only home to mountain gorillas in the country. 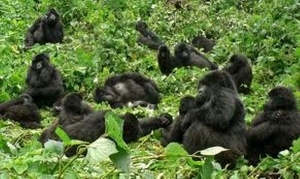 In the wild still survive more than 1000 mountain gorillas and Rwanda is home to about 400 mountain gorillas. 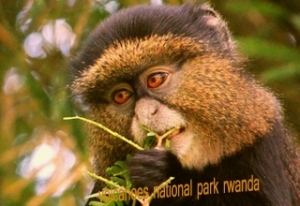 The park is part of the Virunga massif which comprises of 8 mountains, 5 volcanoes out of the eight known as Karisimbi, Gahinga, Sabyinyo, Muhabura and Bisoke form the park. 10 habituated gorilla families are hosted at the slopes of the volcanoes foothills open for Rwanda gorilla safaris each day. The park sits in a beautiful greenery back drop of the verdant rolling hills of Virunga adjacent to Congo gorilla safaris base-Virunga national park and the smallest Uganda gorilla trekking safari destination-Mgahinga Gorilla National Park. 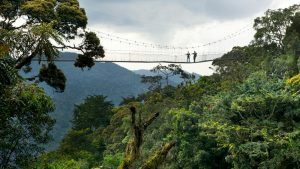 Nyungwe Forest National park is noted to be one of the largest montane forests in East Africa and also among the ancient African forests that survived the last ice age. This means a lot of diversity within one forest. 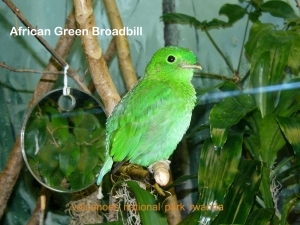 During this safari, be ready to see several bird species. Day 1: Arrival in Kigali international airport and drive to Nyungwe forest national park. Day 2: You will do a canopy walk in the morning then drive to Volcanoes national park. 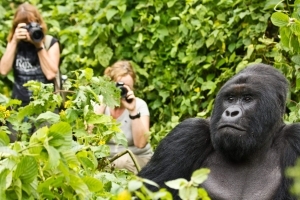 Day 3: You will embark on a gorilla trek in Volcanoes national park. Day 4: Your driver guide will drive you back to Kigali international airport for departure flight. Upon arrival at Kigali international airport, your driver guide will welcome you and transfer to Nyungwe forest national park. This relaxing drive lasts about 4h 17min as you sight the land of a thousand hills. You will have dinner and an overnight stay at your booked accommodation. After an early morning breakfast from your lodge or hotel, your driver guide will drive you to the park headquarters for a morning canopy walk. Walking 50m above the ground for 200meters is a breathtaking experience you cannot compare to any other canopy experience. These 2 hours walk to and from starts and ends at the Uwinka tourist reception center at the park headquarters. While you’re up there, very many bird species will be passing by but just keep your eyes up to avoid getting scared from the height. In the afternoon after lunch you will embark on a drive to Volcanoes national park where you will have dinner and an overnight stay. 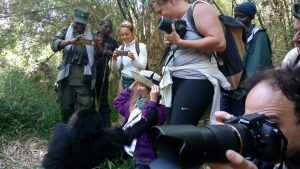 The memorable day for your gorilla trekking safari in Rwanda finally comes. You are expected to arrive for briefing at the park headquarters for briefing by 8:00am which your driver guide will ensure happens. During briefing, you will be allocated a group to trek with 7 other trekkers. Searching for the gentle giants is strenuous since they live in the hills and it could take about 2-5 hours but only 1 full hour can be spent in the sight of the gorillas. Your driver guide will be waiting for you at the park headquarters to drive you back to your hotel or lodge for dinner and an overnight. After your last breakfast at your accommodation in Volcanoes national park, you will drive to Kigali for a city tour and craft shopping before your driver drops you off to the airport for your departure flight. Gisozi genocide memorial center in Kigali is the best place for a comprehensive history of the 1994 massacre in Rwanda. The activities done on this day depend on your departure flight time. 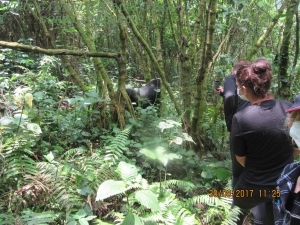 End of your 4 Days Rwanda gorilla trekking safari to Volcanoes National Park and canopy walk in Nyungwe Forest National Park. Take a memorable walk and an unforgettable trek within the land of a thousand hills by just planning this short safari today.